Partnerships - BSA - P.R.A.Y. 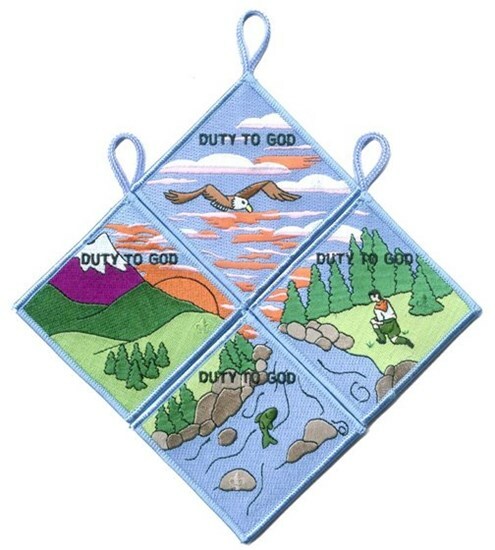 Duty to God is a cornerstone of the Scouting program. The Scout Oath begins with duty to God; the Scout Law ends with reverence. The BSA recognizes that religious instruction comes from the family and faith community. P.R.A.Y. upholds Duty to God by 1) promoting the Protestant Christian religious emblems program and 2) encouraging churches to embrace scouting as ministry i.e., Faith Based Initiative (FBI). Assemble your four-piece puzzle patch by promoting the Religious Emblems programs. BOY SCOUTS OF AMERICA®, the Boy Scouts of America Universal Emblem, BOY SCOUT™, CUB SCOUT™, VARSITY SCOUT®, WEBELOS® and all other related marks are trademarks or registered trademarks of the Boy Scouts of America in the United States and/or other countries. Used with permission. All rights reserved.